Are you dreaming of evening relaxation and cozying up on the sofa or fluffy carpet with your loved ones while the wind roars and the snow falls?! However, something is missing in your ideal picture. This comforting classic addition to match any home regardless of its size or age, and by utilizing either natural gas or propane is called a warm fireplace. Whether you prefer a traditional wood or stone burning fireplace or a more modern gas fireplace, you can be sure it will add warmth and character to your house in winter and any other time the temperature drops in Toronto and the GTA. Working closely with you, realizing your goals for aesthetics and warmth, our qualified technicians will help you to make the right choice that is both an affordable and beautiful investment for your home. House Renovations company provide in Toronto and the GTA professional complete fireplace installation, maintenance and repair services based on decades of experience and our commitment to wok and perfection. Take advantage of a safe, modern and energy-efficient way of heating – a gas fireplace – that is tremendously popular nowadays. What benefits of gas fireplace? It is easy to use. It offers the ultimate in convenience, as you can literally flip a wall switch or remote control and enjoy the warmth and look of a real fireplace. It is convenient. You do not have to worry about buying or chopping and storing wood, no live fire inside your home. Of course, you will not get that natural crackle and pop of burning wood, or the unmistakable smell of a wood burning fireplace, either. It will reduce your energy expenses. With fireplace installation forget about high utility bills, turn of your home’s heating system and use it as your primary heating source! It needs low maintenance. There are no sparks or ash cluttering your home. You do not have to dispose soot and ash from the bottom of the fireplace. Gas fireplace will not leave a thick residue on the inside of your chimney, reducing the amount of times you will have to get your chimney cleaned. It increases your home’s marketability. 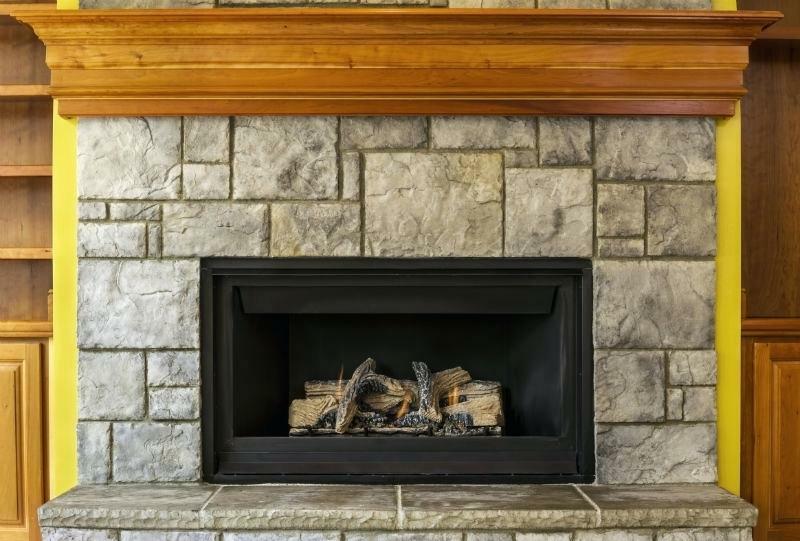 Gas fireplaces are one of the top amenities homebuyers look for when purchasing a home! According to realtors survey, 46 % of homebuyers would pay more for a home with at least one fireplace. If you think you might sell your home in the future, a gas fireplace installation is a good investment to make! If you have already had a gas, stone or wood burning fireplace that does not work at optimum efficiency and needs repair, restoration or maintenance, our company performs a complete range of repair services in Toronto and the GTA. Do not hesitate to call us for an inspection, if you suspect any potential hazard. Our technicians can detect a leakage of gas and any possible damage and eliminate it. Contact us and we will be sure to take care of you at as soon as possible!